...software to keep you entertained. Download the latest demos or order the full software programs. Includes Dynomation-5, DynoSim, DragSim, and many more. For more formulae, go to Dino's Auto Formulae webpage. 1. Auto Math Handbook by John Lawlor. 2. 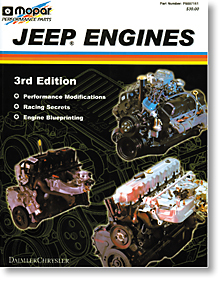 Mopar Performance Jeep Engines - Speed secrets & racing modifications for Jeep-built 4,6&V8 engines (Part # P5249586). Newly updated and revised speed secrets and performance modifications book from Mopar Performance Parts.